We had adopted before. We had therapeutic parent training. We love teenagers. Surely, we would rock at older child adoption. Maybe you weren’t nearly as optimistic and naive as us, but chances are that there is a disconnect between your expectations and what you are experiencing. Maybe you are prepping for an older child adoption, scouring the internet, and found this post. You’re wondering what you’re in for. We learned many lessons the hard way at the expense of our relationship with our kids. Fortunately, there’s such a thing as second, third, and 503rd chances, so we’re getting to put what we learned into action. Imagine if you didn’t have to learn trial-by-fire. 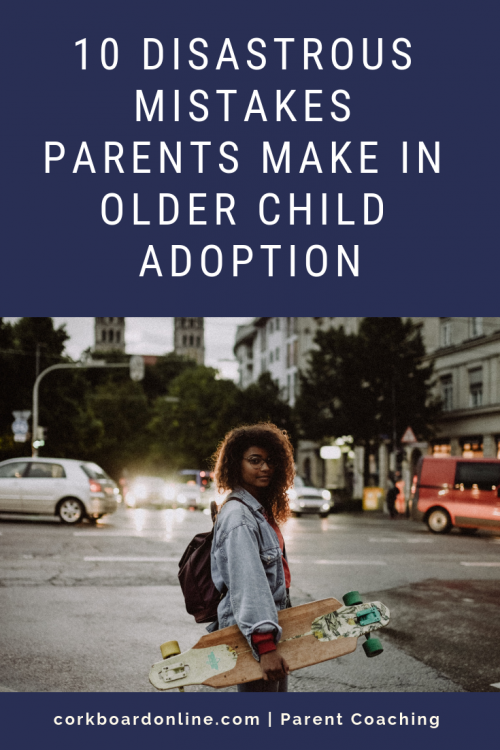 Here are 10 of the mistakes we made that you should definitely not do in older child adoption. Do not dis your child’s country of origin or family…ever. If you’re sarcastic like us, it’s easy to make a passing remark that was meant to be humorous but drives a deep wedge between us and our child. Additionally, not understanding a certain culture may make a situation seem ridiculous or illogical. However, keep your thoughts to yourself. 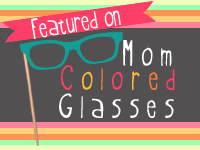 Your child’s identity is currently wrapped up in these things. And older kids from trauma tend to not have great senses of humor. Do not minimize an older adopted child’s felt discomfort. We respected their boundaries pretty well for the first 3 months. Then the honeymoon ended and so did my patience. Instead of honoring the fact that eye contact felt weird or that hearing the words “I love you” (even between two other people) were like nails on a chalkboard, we verbalized how ridiculous they were acting. We probably should have tried “I wonder why ‘I love you’ makes you so uncomfortable?” (and been okay with a non-answer). We would say things like, “That’s unhealthy. What are you going to do when you get married?… Nope, you won’t find a husband that’s okay with never saying those words. No really. Not going to happen. Ever. And that’s why you’re still in therapy, since you asked yesterday.” Don’t say those things. Do not build expectations based around age. I wish we had established early on that we would make decisions and create expectations around currently exhibited skills. Now, I often say, “Your behavior is communicating to me that you don’t feel safe enough or able to <insert something like ‘make your own food decisions’ here>. Let me help you this time, and we’ll try again another time.” My tendency has been to frustratingly point out that kids their age should be able to follow a 2 step direction or copy a paragraph with minimal mistakes. We’ve also used words like “catch up” and “act like a big girl/boy” and “you SHOULD know that.” Bad ideas…even when your teenager showers with the shower curtain all.the.way open. I actually did an entire post about the nasty word SHOULD. You can read it here. Do not minimize the fears of your older child. As a really pragmatic person, this is so hard for me. But a lot of older adopted children have irrational fears. You may understand that they are irrational, but they FEEL very real to your child. As much as you want to scream, “GET. OVER. IT!” Don’t. Because you might end up with a rage on your hands. Do not push their buttons in return. These kids are button-pushing geniuses. Apparently so am I. Take it from an expert…retaliation is counterproductive no matter how good it feels. Withholding those necessary “yesses” also not helpful. Please tell me I’m not the only one who struggles with joyful yesses. If you’re not sure how you can give more yesses, you may need the Yes Game. The attitude-y body language drives me nuts just like the next mom, but when they totally deny it…ERRRG. I’ve actually come to the conclusion that they are usually completely clueless to how they come across. So all those redos and lectures about such behavior…totally lost and probably caused loads of relational damage since the accused parties honest-to-goodness think they are innocent. Sometimes the stories we are telling ourselves about what their behavior means are just that…stories. I shared a powerful example of this in my parent support FB group recently. You can see the post here. Older adopted kids do not understand sarcasm, logic, or idioms. Our family’s love language is sarcasm. It’s weird because neither Patrick nor I grew up that way. Maybe it’s a generational thing. Either way, it gets lost in translation. Especially if your children do not use English as their first language. Even worse than not understanding, they will take what you say literally. Then they start telling themselves false stories about how you feel about them. Not good. Do not argue with your child. Whether they’re spewing verbal trash on your or just happen to say something ridiculous, underreact at all costs. It’s all nonsense meant to protect. I’ve wasted many words trying to convince them they were wrong or even going into battle against hurtful words. This often escalated us to both the hospital and police station. Don’t be us. Save your breath. Just stay calm and close. You can acknowledge that you heard her without agreeing or correcting. Do not use consequences to correct behavior. Taking away electronics for mouthiness is translated, “They didn’t really want me to have an <insert device here> anyway. <insert self-defeatism> They can have it.” At least that’s how it goes in my house. Kids that have been traumatized and/or grew up with nothing cannot be motivated by lost privileges. They just adapt and it further reinforces that no one will ever love them. Additionally, consequences can create a control battle that I promise you will lose every time. But not before it gets REALLY ugly. You need to understand what the behavior is communicating so you can address it from the root. If you’re already doing these things, no worries. You’re at a crossroads, and it’s never too late to make a course adjustment. Also, give yourself grace. No one is perfect. 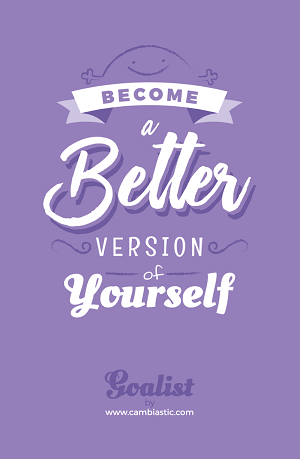 But once you know better, strive to be better. You’re a good mom, doing good work. You’re not alone! Posted in Adoption and Orphan Care and tagged older child adoption. Omg! This was so very helpful. We are looking to adopt another kiddo. Our 1st adoption was easy as she was only 15 months. This time we are looking for an older kiddo and I feel like we will hit a whole new set of challenges. Thank You. This article helped us start preparing for something new. Thanks for visiting. I’m glad it was helpful! We are in the process of adopting older kids ( a sibling group). This article was helpful, because I see myself falling into some of these bad habits. Instead of consequences, what do you suggest? For example, I found my daughter had a phone that she had stolen from another family. Long story short, we took the phone and talked about it. Me and her took a long drive to work some things out and try to figure out the underlying issue. However she did have the “natural consequence” of no longer having the phone… we are still dealing with some of the aftermath of this situation and I would love your thoughts. That’s a great question. It sounds like you handled it beautifully…especially if you were able to understand the underlying issues. I’ll reach out privately, so we can chat more about the aftermath and tools that could help you navigate the situation.